Just Walkers Mobility Scholarship Program is open to college freshman, sophomores, juniors, seniors, and graduate students who experience limited mobility. Students who require the use of a wheelchair, power scooter, crutches, rollator or other mobility device are encouraged to apply. Eligible students must have a grade point average of 3.0 or above. They must require the use of mobility devices on a regular basis. Scholarship recipients may use the money for tuition at their choice of a college or university. To apply, eligible students must submit their response to a 600-word limit essay that describes a time when they faced a major obstacle, what they did, and what the experience taught them. Entries will be judged on how well it answered the question and how creative the story is. 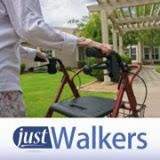 The scholarship is sponsored by JustWalkers.com, an online supplier of mobility devices that include walkers, crutches, wheelchairs, canes, power scooters and more. The company is located in Howard County, Maryland between the cities of Washington, DC and Baltimore.